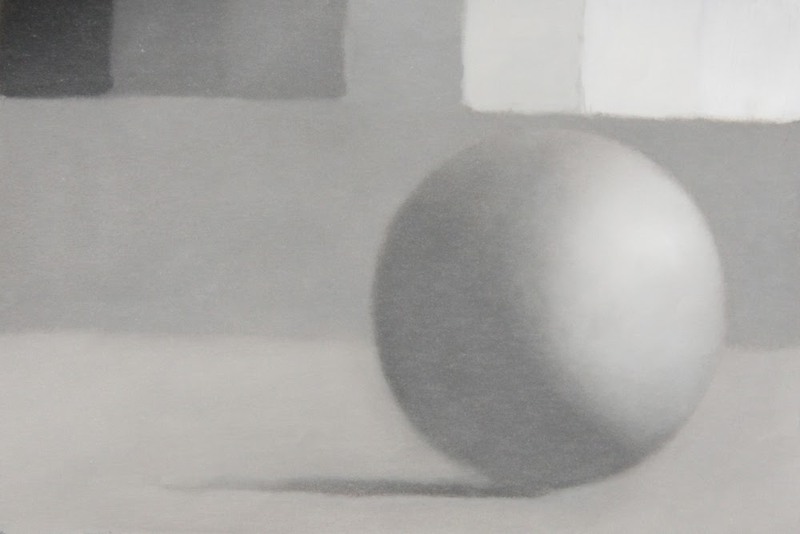 The first sphere was painted on Mylar and looks very soft and blurry which is what I was trying to achieve. Obviously I need a lot more work on drawing and painting straight lines, you would think that would be the easy part! This was painted in one pass and could use a second pass to push the darker values more and have a better defined terminator. Now that I found it I may have to do a second pass. 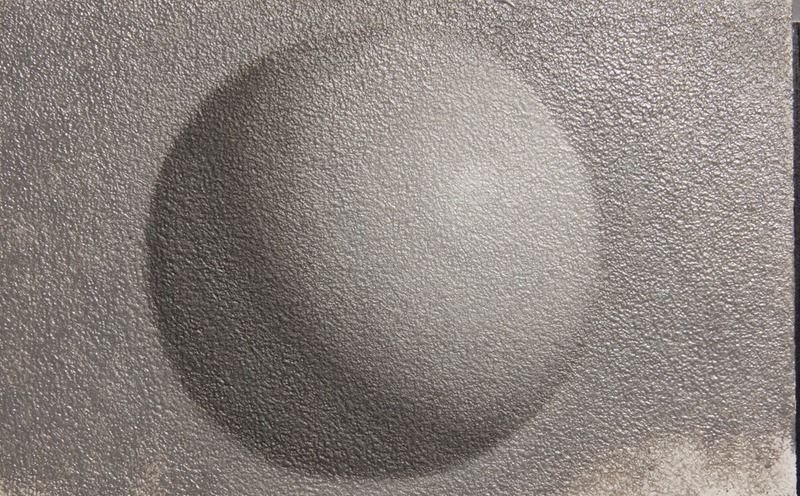 The second sphere was done on panel and I can't recall if it was done in one pass or two. Again it could be pushed further so I will likely do another pass on both when I find the time.